Tanisha: "Sometimes I dress like a boy -- sometimes girly. It all depends on how I feel when I wake up in the morning." Eric: "My style is something that's very free yet trendy. I like to keep up with the latest fashions, but with a twist of my own thing. I'm particularly inspired by the late 80's and early 90's supermodel era. Kate Moss is one of my biggest role models. She created her own look and style." 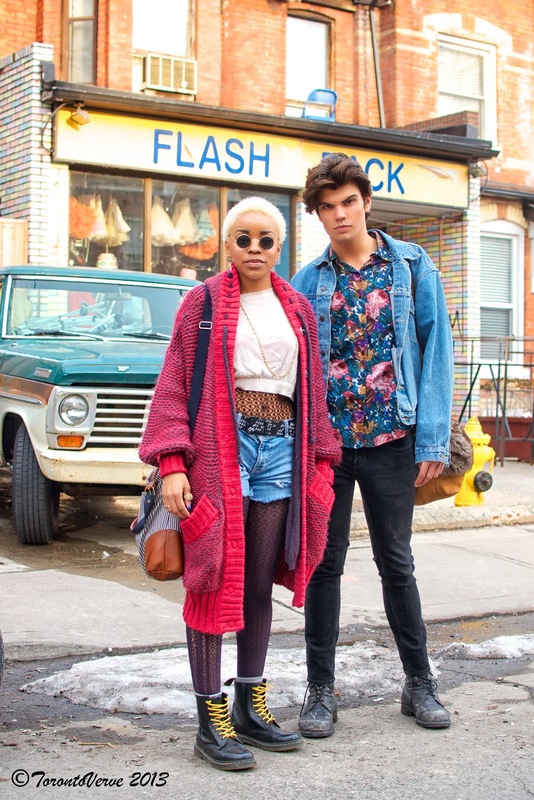 Tanisha and Eric are in the early stages of starting their own style blog called My Evolution, which will focus on Toronto's street style and trends.